One race before the season’s finale no one can take away the constructors’ title in the FIA World Endurance Championship (WEC) from the young team from Weissach. 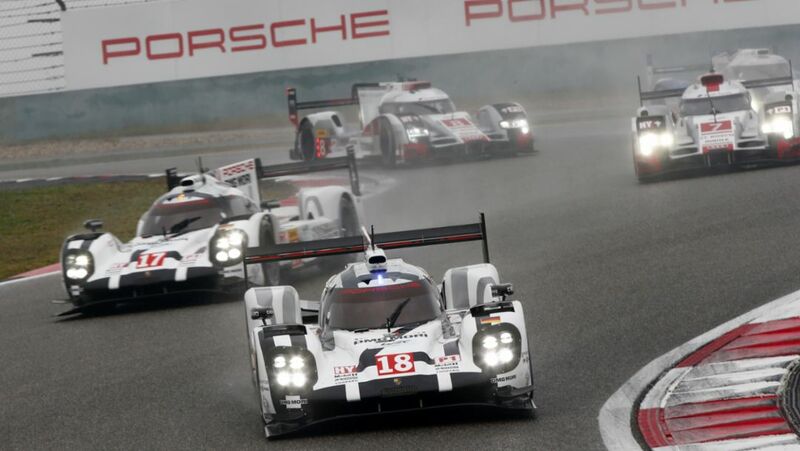 In China the winning drivers were Timo Bernhard (DE), Brendon Hartley (NZ) and Mark Webber (AU) in a six-hour race of which two thirds were held on a wet track. The sister car of Romain Dumas (FR), Neel Jani (CH) and Marc Lieb (DE) finished second and hence the season’s fourth one-two victory for the Porsche team. Porsche has won the title with 308 points ahead of Audi (238) and Toyota (137). For Porsche it is the 13th constructors’ World Championship title in endurance racing and the first since 1986. Between 1964 and 1986 Porsche took twelve constructors’ titles in the then Sports Car World Championship. The drivers’ world championship title will be decided at the season’s finale in Bahrain on November 21. Porsche drivers Bernhard/Hartley/Webber are leading with 155 points ahead of three Audi drivers who have scored 143 points. After the start behind the safety car the race goes green at the end of lap four and pole-setter Brendon Hartley stays in front. After 33 laps he comes in for refuelling and takes another set of rain tyres. The team uses the third of several full course yellow periods for the next pit stop and Timo Bernhard takes over after 52 laps. The conditions still only suitable for rain tyres. The lead is temporarily lost to the number 8 Audi and on lap 57 the number 7 Audi also overtakes Bernhard. On lap 61 the sister Porsche with Neel Jani at the wheel passes Bernhard as well. As the Audis pit, Bernhard lies second behind Jani. The following Porsche pit stop doesn’t change the order. Bernhard comes in for fuel only after 84 laps and then reduces the gap to Jani. On lap 101 the two Porsche 919 Hybrids swap positions because the number 17 car is the faster one at that point of time. Bernhard hands over the leading car to Mark Webber after 115 laps, and now slick intermediate tyres are the call. After 132 laps Webber changes to pure slick tyres and continues to lead the race. At the end of lap 154 Webber comes for his last refuelling stop and gets another set of slick tyres. He then drives directly behind Romain Dumas until the sister car has to refuel – and number 17’s way to victory is clear. Marc Lieb starts from P2, briefly moves into the lead when Hartley has difficulties with boost, but then gets pushed off the track by André Lotterer in his Audi number 7. Lieb rejoins the race as the last car. He then overtakes 25 cars within five laps to catch the LMP1 cars. At the end of lap eleven he overtakes the number 2 Toyota for fifth. After 33 laps he pits for fuel and another set of rain tyres. The team uses the third full course yellow period for the next stop. Lieb hands over to Neel Jani, who continues on another set of full wets. Jani is fourth but improves quickly. On lap 72 he takes the lead from the number 7 Audi. After 83 laps he comes in for fuel only and stays in the lead. On lap 101 Jani lets Bernhard pass because he has high brake temperatures temporarily. After 114 laps, Jani hands over the car to Romain Dumas who gets slick intermediate tyres. A misunderstanding when lapping another car leads to a spin on lap 126 and causes Dumas to drop back to third until the number 8 Audi has to pit. After 132 laps, Dumas pits for slicks. He rejoins in fourth but takes the lead after the pit stops of the Audis and his team mate. After a final ‘splash and dash’ at the end of lap 162 he finishes second. 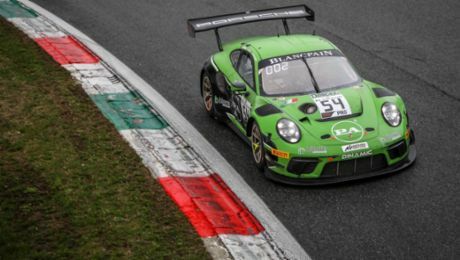 The Porsche 911 RSR driven by Richard Lietz (Austria) and Michael Christensen (Denmark) has won six-hour race on Shanghai International Circuit. 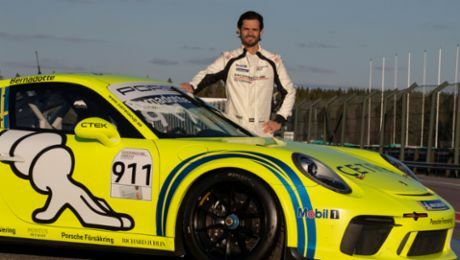 This marks the third victory of the season for the winning racer from Weissach, which was developed on the basis of the iconic 911 sports car and has won on the Nürburgring and at Austin this season. At the wheel of the sister 911 RSR campaigned by the Porsche Manthey squad, French pilots Frédéric Makowiecki and Patrick Pilet finished on third place. With this result, Porsche has defended its manufacturers’ title chance in the fiercely contested GTE-Pro class of the Sports Car World Championship WEC. While Richard Lietz has extended his lead in the FIA World Endurance Cup for GT drivers, as did the Porsche Manthey team in the team classification, Porsche managed to close the gap to Ferrari to just four points. At the final race of the season on 21 November in Bahrain, a maximum of 44 manufacturers’ points are still up for grabs. The second race of the Sports Car World Championship WEC held in Asia was again contested predominantly on a wet track. The conditions on the 5.541-kilometre Grand Prix circuit on the outskirts of the Chinese financial capital were not quite as extreme as they were recently in Fuji, Japan, however the pilots still faced major challenges in the first four hours of racing. The start drivers Frédéric Makowiecki in the number 92 car and Richard Lietz in the 91 vehicle got away cleanly at the start and established themselves amongst the front pack of the competitive GT-Pro field. The Frenchman, who had taken off from the fourth grid spot after a difficult qualifying, had moved into second after just five laps. The Austrian, who had started from directly behind him and travelled to China as the leader of the FIA World Endurance Cup for GT Drivers, managed to settle into third place. After another ten laps, he manoeuvred himself into first place and, with a solid performance, laid the foundation for his third win of the season. On the rain-soaked track, the 911 RSR again profited from its excellent traction thanks to its rear-engine concept. Frédéric Makowiecki left the track briefly during a duel and fell back to sixth place. But after the second hour of racing, the number 92 car, now with Patrick Pilet as the winner of the American Tudor United SportsCar Championship at the wheel, had again moved up into second place behind the leading Michael Christensen. The race strategy of the Porsche Manthey team proved a perfect match for the drivers’ performance: As the track gradually dried with two hours to go, the strategists made the call to change from wet tyres to slicks at exactly the right moment.